Muse is an innovation-driven advertising agency specializing in creating meaningful communications through art, innovation, and experiment for the businesses. Whether it is instilling healthy living practices as a part of urban rehabilitation programs or cross-selling microfinance products for financial inclusion, our creative problem solving are helping governments, corporate and entrepreneurs to drive customers’ loyalty and sales. The agency works across all platforms including, broadcast, print, digital and social, experiential and out-of-home. Muse opened its door to clients when Founder- Director Manoj Mauryaa began reinforcing the mainstream branding with art and innovations. His art was as much destined to the galleries as with the brands. Behind every great art is a Muse. If religion and science were Leonardo da Vinci’s muse, landscapes were Van Gogh’s muse. 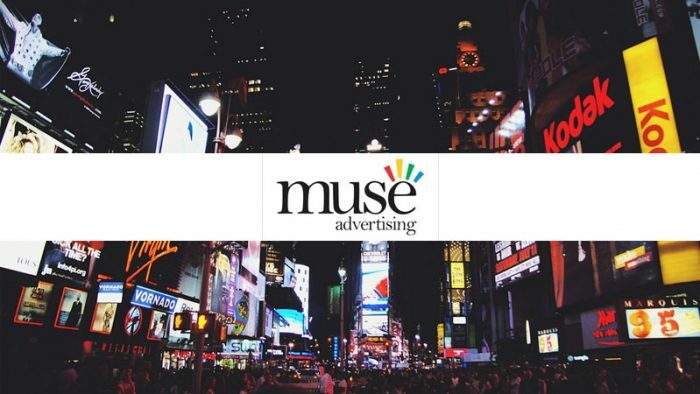 Muse is the inspiration that drives creativity to build cultures, collaborations, and conversations, which is our daily call at the agency. Muse works towards ‘inspiring brands’ with its creative strategy that is growth-centric with measurable results. Muse provides consultation, plans creative strategies, designs integrated brand campaigns, social innovations, cultural innovations, business identity, collaterals, responsive websites, TVCs, web videos, and films. We see a deep connection between design thinking and profitability. With our expertise, we design creative solutions that deepen consumer’s relationship with the brand which is a crucial step in driving long-term consumer loyalty and thus, profitability for the brands. Earlier, when a great combination of a copywriter and an art director was enough to win awards, today it is the collaboration between creative, data and PR teams that wins the awards as well as accounts. In the era where advertising landscape is colored by data and metrics, it is the creativity and the human insights that will add the depth and meaning to the campaign and ultimately determine its success. We exercise caution with the type of content we generate as social media penetrates deep into the decision making, information gathering, researching, and networking routines of the consumers. In the cacophony of visual overload, we take additional efforts to instill visual appreciation within clients and consumers. The greatest advantage of the social media which was the ease of measuring the ROI with accuracy has turned into its greatest adversary with every ad campaign buying engagement results which makes no ad campaign (however frivolous it may be) ever fail. Earlier the KPIs of our campaigns were dependent on the real-time audience’s response. But today, a campaign’s KPIs are dependent on hacking bots, paid influencers and click farms. There need to be regulations that check fake engagement on social media of a campaign thus, letting the creativity win over chaos. Advertising is the fastest and biggest consumerism of the newer technologies. While adaptability is important for survival, staying true to your core expertise is important for growth. The new technology should amalgamate and never substitute your core competencies. When our clients say that we want a very different and innovative campaign just like that one! The social media will keep on swelling with more content, especially by the first time content generators. Newer APIs will be generated to channelize, filter, organize and personalize the content in order to prevent the overloaded users wean away from the social media. Videos will reign supremacy in all the types of content created. Instagram will be one of the most disruptively evolving social platforms. Social platforms will be crucial in bridge building between the naïve audience and art market by making them experience, understand and generate interest in the art and aesthetics. A day without Internet would be mean an additional staff meeting or a yoga session or an impromptu party! Collaboration with talent is always welcome!